I would love to continue to grow my philanthropy efforts to help inner-city kids through my La La Land, Inc. Foundation. This is something dear to my heart. I would like to continue building the confidence of young inner-city kids by providing better schooling and opportunities that may not already be afforded to them. The youth are our future, anything I can do to help them achieve their hopes and dreams would bring me the most joy. 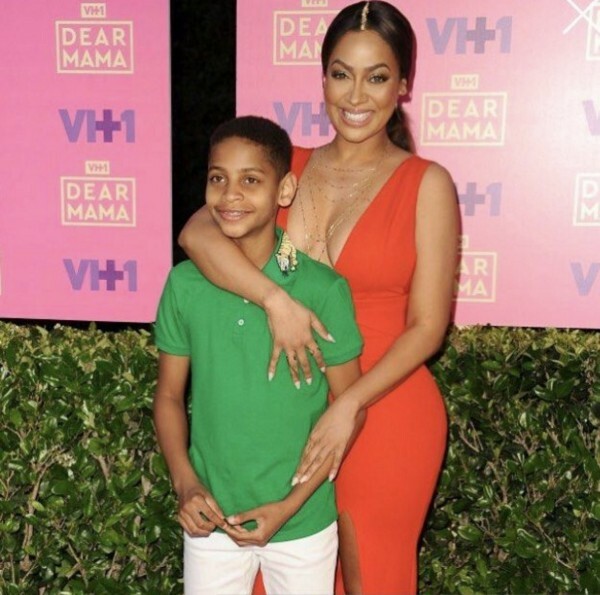 I had the pleasure of interviewing La La Anthony. La La, 36, is a budding actress, producer, New York Times bestselling author, and fashion-and-cosmetics mogul whose presence in the film and TV industry is rapidly growing. She can currently be seen on STARZ Network #1 hit how, POWER. Marco: Thank you so much for joining us! Can you tell us a story about what brought you to this specific career path? I’ve always loved music, so at 15 years old I started interning at my local radio station in Atlanta. From there I became a MTV VJ, which then transitioned into being a television personality, actress, and producer. But my love for hip hop music ultimately launched my entire career. It’s actually funny how I got my start. To intern at the radio station, you had to be at least 18 years old and at the time I was 15 — so I lied and said I was 18. Lol. Thankfully they gave me a job and the rest is history. A funny mistake I made when I first started on radio was not realizing that my mic was on and everyone listening in could hear my every word. I was talking about so much personal stuff! Things a teenager goes through. 🤦🏽‍♀️ That experience taught me to be pay attention to detail and be super thorough in everything I do. Playing my character Lakeisha Grant on Power is one of the most exciting projects I am working on now. Watching her growth from Season 1 to Season 6 is incredible. She’s on an amazing journey and I’m proud to bring her to life. Also having the opportunity to produce content for television and film with people I respect and admire is also amazing. Ms. Oprah and Ms. Gayle King are two of the most inspiring people I’ve interacted with in my career. Both of these women are so positive and always leave you with little gems to think about, that will keep you motivated and grounded. I absolutely love them both! I would say that you definitely have to have a plan, but still take things one day at a time. It’s important to realize that you cannot accomplish everything in one day. Planning is a process, it takes time, but if you stick to it — it will work. DONT GIVE UP! 1. Success doesn’t happen overnight. Sometimes we rush through things because we want it so bad. When it doesnt work — we quit. Every no brings you closer to your yes. Don’t quit. 2. Hard work does pay off. In the end, you can out work anyone with your work ethic. 3. Being kind goes a long way. People want to work with people who are nice and that they like. 4. Stay humble, don’t ever become arrogant and think that you’re better than anyone. 5. Ignore the haters. There’s always going to be people that don’t believe in you, but don’t let that deter you from your dreams. “Love yourself from the inside out.” That quote is super relevant to my personal growth because I’ve learned that you have to love yourself first. Build up your self esteem and confidence. It all starts with YOU! Chaka Zulu, who is currently Ludacris’s manager, was also the first person to see my potential. If it were not for him giving me a chance to be his intern as a teenager, my story may not have been the same. I absolutely love and respect him. Michelle Obama! I am grateful to already to be able to call her a friend, but I can never have too much time with her. I love picking her brain. She’s truly embodies the type of the woman I aspire to be. I read her book, Becoming, in a one day and it’s still one of my faves.